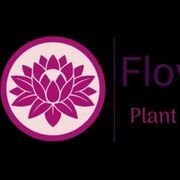 Flower Garden Yoga is a Yoga Studio that offers Heated Classes and Non-Heated Classes, Kid's, Prenatal, Restorative, Parent-and-Child, and Gentle Styles of Yoga, Meditation, Workshops, and Trainings. Aerial Yoga in the Hammocks coming soon! Additional Yoga Classes of all Styles coming in September 2018. Please find us at flowergardenyoga.com. Also, you can find ands schedule your appointment with us on the MINDBODY App. Rate and review Flower Garden Yoga in Collegeville, PA, United States! Share your experiences at Flower Garden Yoga with your friends or discover more Yoga in Collegeville, PA, United States.